Across The Pond Wrestling: Guest: Lily Lestrange's ICW - Fifth Annual Square Go! Surprise Entrant Predictions! Guest: Lily Lestrange's ICW - Fifth Annual Square Go! Surprise Entrant Predictions! 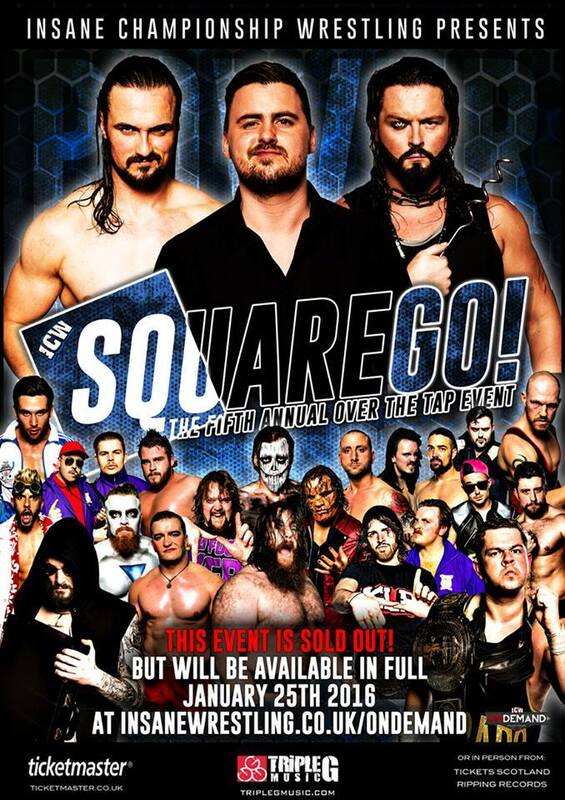 On Sunday 24th, ICW's sold out fifth annual Square Go will take place in the Barrowlands Glasgow. I've seen a million and one predictions about who will be in it and who is going to win it. I've got my own ideas about who will win but what I've been wondering is what big names will appear in it? Of course, we already have a lot of big names of our own but what old school stars and current "imports" could we potentially see appear? Could we finally see the return of Paul London and Brian Kendrick? Will Virgil appear and try to paper cut Renfrew's ear off with a signed photo of himself? Well that's what I'm here to talk about (in no particular order). A lot of this will be me pandering to my inner fangirl, some of this may actually make sense. All of it will be me rabbling on a load of pish. Whatever happens, whether all or none of the people I predict will appear, it's going to be an eventful night. Imagine it. The countdown clock hits: 5,4,3,2,1... DUN DA DA DUN DA DA DA DUN DUN DUN. IMAGINE. This is probably the most far-fetched of all my predictions but we can never say never when it comes to ICW. TNA have tour dates that are awfully close to the ICW show dates so it could happen. We've gave them enough of our guys so do us a solid Dixie and geez a shot of Angle eh? 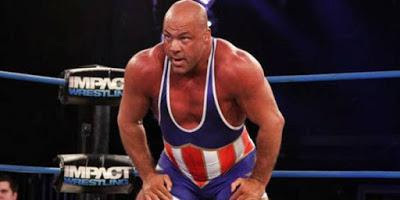 It would be brilliant seeing Angle in ICW, can you imagine him and Damo squaring up to one another? It would be perfection, pure perfection. We'd also be there for about a week because it'd take that long for one of them to toss the other over the top rope. Or even Angle and Jackie Polo; they wouldn't even attempt to throw each other over the rope, they'd just spend the rest of their lives suplexing and scoop slamming each other. Phone in sick to work, call yer mamas and tell them you love them because if Angle appears then we're in it for the long haul. Of course I couldn't mention Nakamura leaving NJPW and not mention Styles. 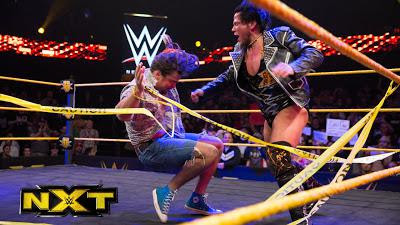 He took the Bullet Club reigns from Finn Balor when he left for NXT and he could potentially follow in his footsteps by dropping in to say hello to ICW before making his way over there to join Finn in the land of WWE. We may even see a clash (AYOOOOO) of old foes with Lionheart being an entrant in the Square Go too. With both his and Nakamura's contracts with New Japan apparently expiring some time this month, it's entirely possible for at least one of them to show up and cause chaos. 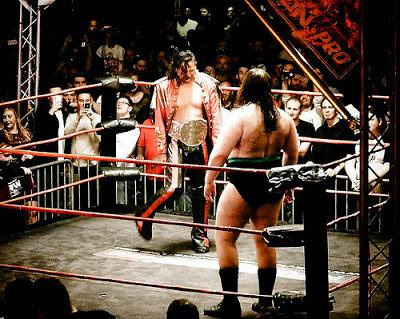 NXT's Solomon Crowe has been making his rounds in the indy circuit ever since he was released back in November 2015: he's appeared in AAW, CZW, PWG and even had a dark match in Lucha Underground so he's been a busy man over the past few months. It would only be right to pop in for a visit at ICW. Maybe him and Joe Coffey could have a lariat-off, or maybe him and BT Gunn can see who's got the biggest collection of human teeth. Sami's always been a great wrestler and the hype around him finally debuting on NXT was unbelievable but it's a shame that he never got to show his full potential during his time there. Hopefully he continues making his rounds to some of the world's biggest indy promotions and he doesn't appear in TNA as Sami Solomon or something shite like that. There was a lot of hype around Storm when it was announced that he was going to be signed by NXT but it died down when he decided to return to TNA. He's been with TNA for around 14 years so it would've been nice to see him in a new and fresh atmosphere, especially with the calibre of wrestler that NXT keep scooping up, so it was disappointing to find out that he wasn't going to be one of them. Despite this, it's not unusual for TNA stars to appear in ICW (pretty sure that his pal Bram is going to show his big mad face at some point after DCT called him out in his last promo on Friday Night Fight Club) so James Storm could be another potential entrant. Yet another wrestler I'd love to see fight the likes of Joe Coffey, Damo or Mikey Whiplash so here's hoping he appears. It's the same logic as I had with Angle; they'll both potentially be on tour with TNA at the time so why not? Think I'm mental yet? Because you're probably right. The great thing with ICW is that you shouldn't spend too much time predicting things because you'll always be wrong. Always. And even when you're right you'll still be wrong. It's fun to speculate with events like the Square Go and the Royal Rumble though because both ICW and WWE always bring in a few surprises every year. It's why the Rumble has always been my favourite PPV and why I love the Square Go so much. So don't fret too much and just buy the ticket and enjoy the ride. Unless you've not gotten your ticket yet, in which case yer fucked because it's SOLD OUT BAYBAY. This is the third big event that they've sold out so leaving it until the last minute to get a ticket just isn't an option anymore.You'll just need to catch it On Demand when it gets put up and learn to buy your ticket earlier next time. Silly billies.